February 04: Police in Srinagar arrested a thief and recovered stolen cash and articles from his possession. On 28-01-2019, Police Station Khanyar received a complaint from one Ishfaq Bashir Dhar son of Bashir Ahmad resident of Botshah Mohalla Lal Bazar that while offering prayers at a mosque in Sumkachbal Khanyar, some unknown thief has stolen his bag from the mosque which contained some cash, one mobile phone, important documents and other personal belongings . In this regard, a case FIR No 03/2019 under relevant sections of law was registered in Police Station Khanyar & investigation was set in motion. 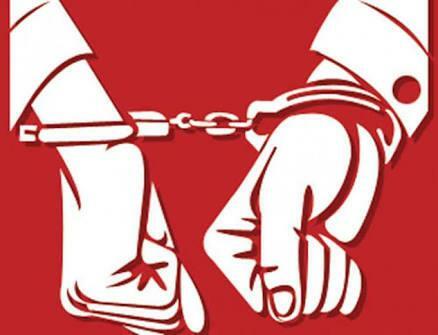 During the course of investigation, investigating team led by SHO Khanyar inspector Shri Parvaiz Ahmad arrested one accused person namely Sufiyaan Rafiq Baigh son of Mohammad Rafiq resident of Uri Baramulla, presently residing at Dalgate. Cash of Rs. 62,000 (Sixty two thousands), mobile phone (J7), documents and other personal belongings were recovered from the accused person. Further investigation of the case is going on. Complainant & general public of the area have appreciated the efforts of Srinagar police.